Well, It looks like its that time of year again! Going to try (again) to post more regular updates, if for no other reason than to force myself to get some progress done each week. I just purchased a new airbrush, so learning which end points where should help with that as well. 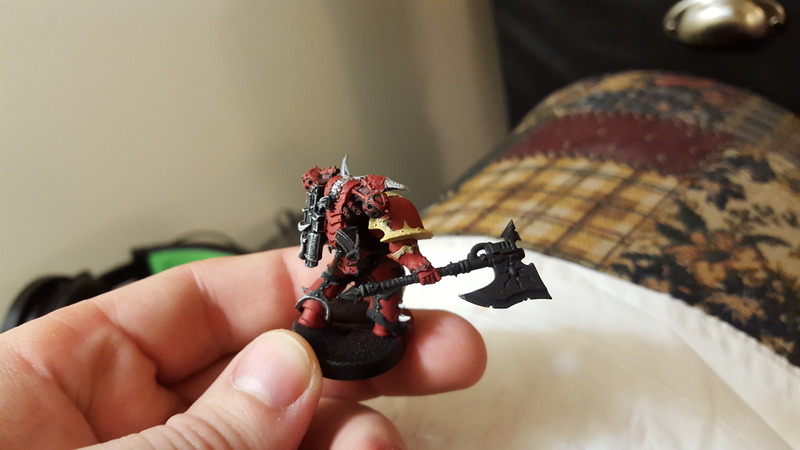 Chaos Army - Marines, Daemons and Renegades oh my! Thats all for now, Hopefully will have some pics soon! Good stuff! 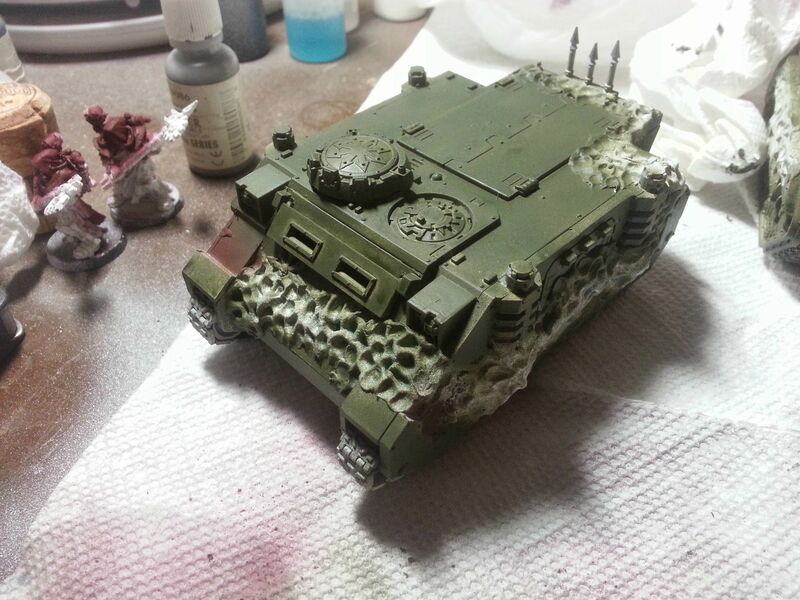 I just got a new airbrush too, but I've been I build mode. Looking forward for the renegades! Gotta get some inspiration for my renegade force! 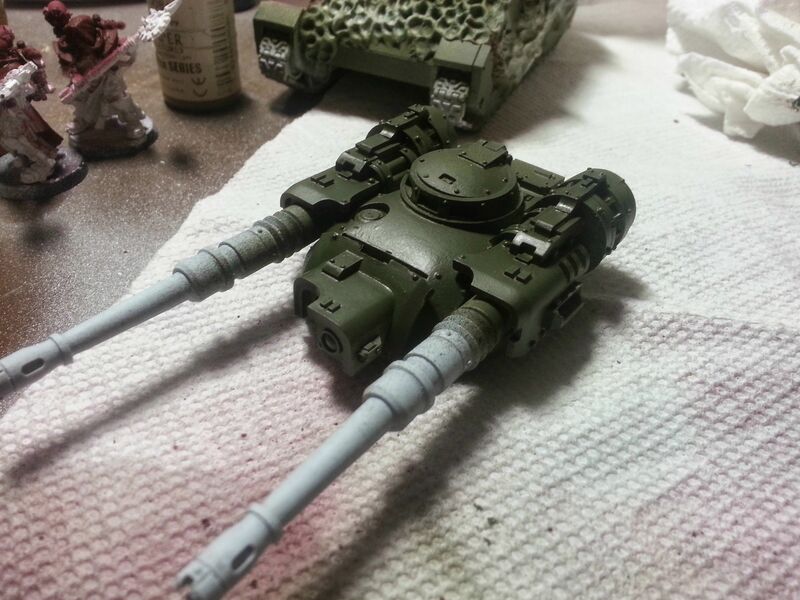 My personal opinion is Death korps of krieg style. The only army i would actually play if i went for the "good guys"
Im strongly leaning towards the DKOK style... but I have my eyes on some non-Forgeworld lookalikes that are relatively cheaper. Hopefully I'll have some time to get the next colors on them. 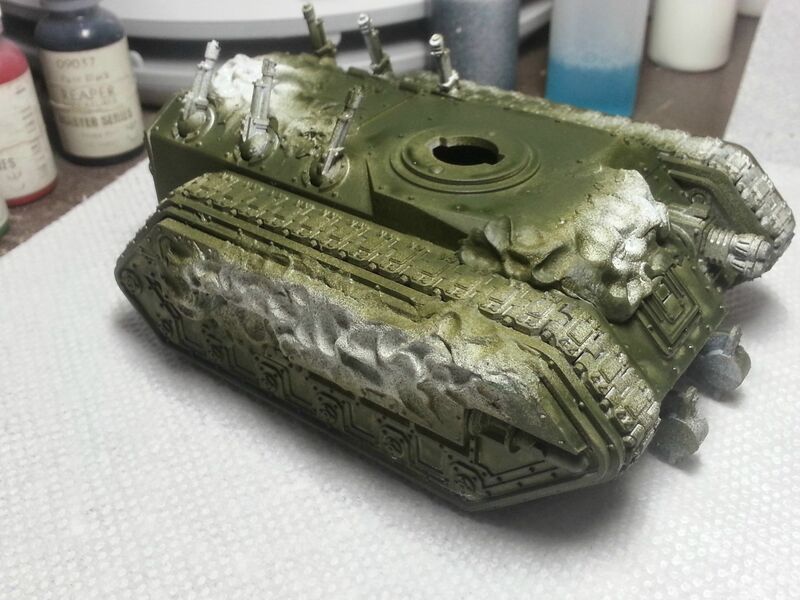 Chimeras would look interesting if you swapped out the lasguns for bones or even reaching tentacles. Dez wrote: Chimeras would look interesting if you swapped out the lasguns for bones or even reaching tentacles. Sir... may Nurgle smile upon you. I like the way you think. The best part is that tentacles are probably the easiest thing to make out of green stuff. Looking interesting so far! I'm sure to keep track to your progress for I simply love conversions. 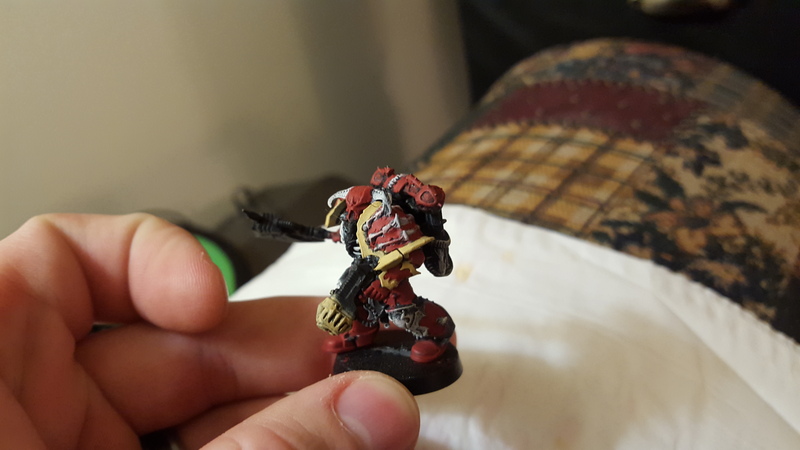 Well, its been a while since I was here last, I guess 11 months.. as it turns out I burned myself out on painting, but this past week decided to test the waters again. 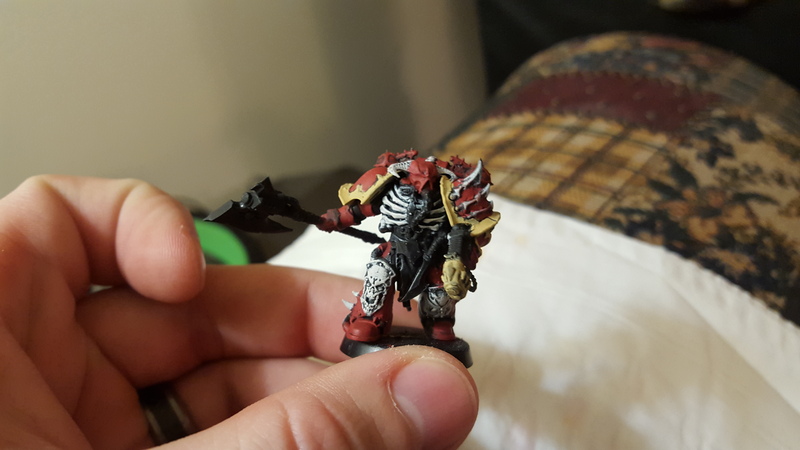 Here is a WIP Chaos lord conversion that would work as either a chaos lord, or count-as Kharn. Right now I have just been working at the basecoat, but hoping to have some more details done on him this weekend. 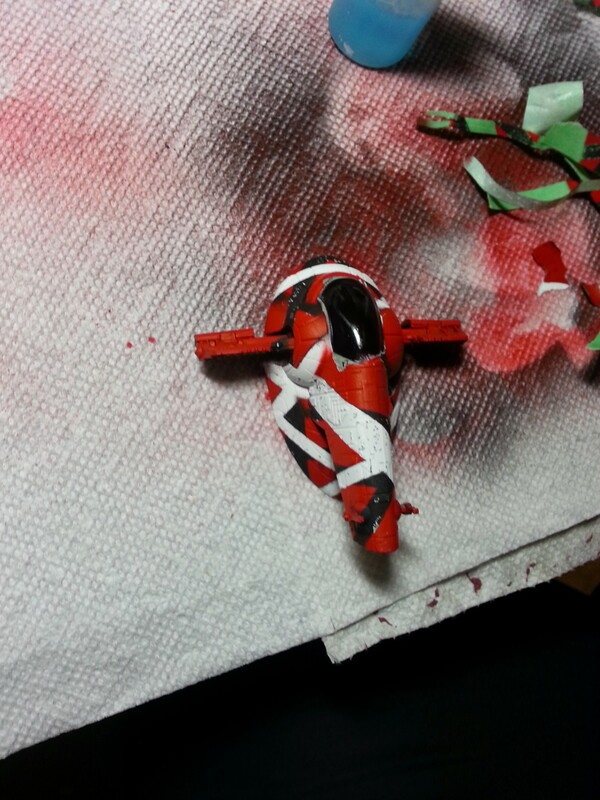 And, Bonus, a Firespray re-paint I helped a buddy with. Affectionately known as the "Frankenfett". That should be called the Eddie Van Slaveone! @Dez - the change is official! @Guildernstern - thanks! I don't know why I haven't seen that video before... that was amazing.